Chiang Mai is Northern Thailand’s largest and most popular city. If you want to ride elephants, play with tigers, zipline through the jungle, eat amazing food, see ancient ruins, and shop for cheap (among many other things), then this is the city for you! It’s rich culture, friendly people, famous food, and beauty will keep you wanting to go back again and again! A Place to Stay – If you really want to travel on a budget, then Hostels are the way to go! They have a really fun and friendly environment and dorm rooms can be as little as $3-4 USD a night! 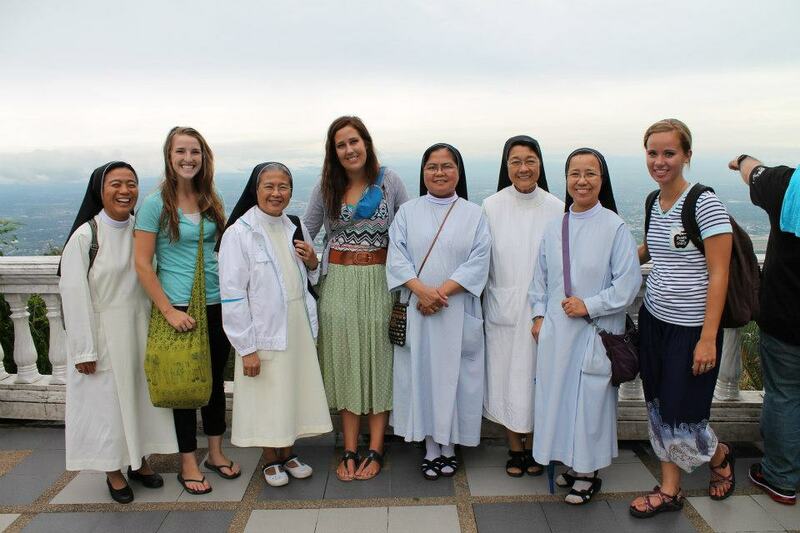 It’s a great place to make friends and find travel buddies as well. If you are looking for something a little more private, guesthouses start at around $5 USD per night. For a nicer room with air-condition, expect to pay about $13 USD per night. Hotels with a comfy bed and warm water will cost on an average of $40-$60 USD a night. 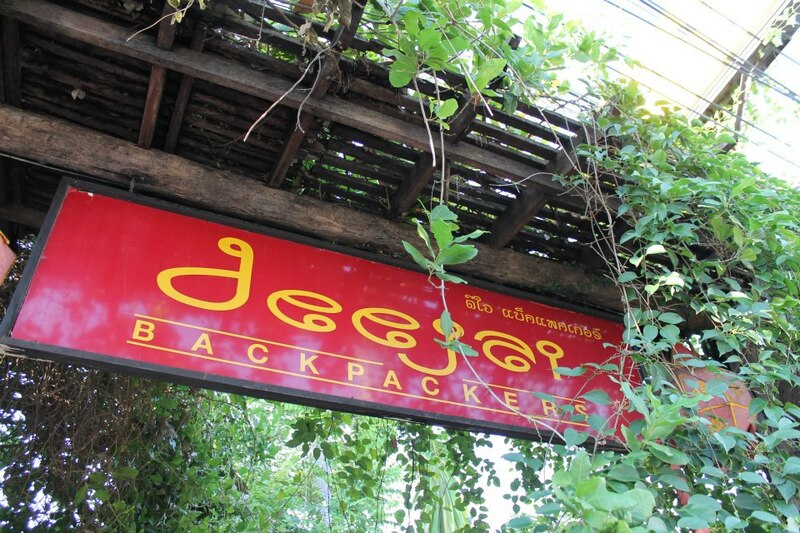 The two times I went to Chiang Mai I stayed at Deejai Backpacker. That atmosphere was great, the staff helped us out a lot, it was walking distance from the old city, and they had free WiFi! Click here to book your stay. Make sure that wherever you stay, you are near the old city and close to everything! That will help keep transportation costs low! Food to Eat – To eat cheap in Thailand, you need to eat like a local. Chiang Mai has some of the best street food in Thailand, and dishes cost around $0.75-1.50 USD. If you want a nicer sit down restaurant, meals will cost around $5 USD for a main dish and a drink. If you are wanting something that tastes like home (aka Western Food) you might have to be willing to pay a little more than that. 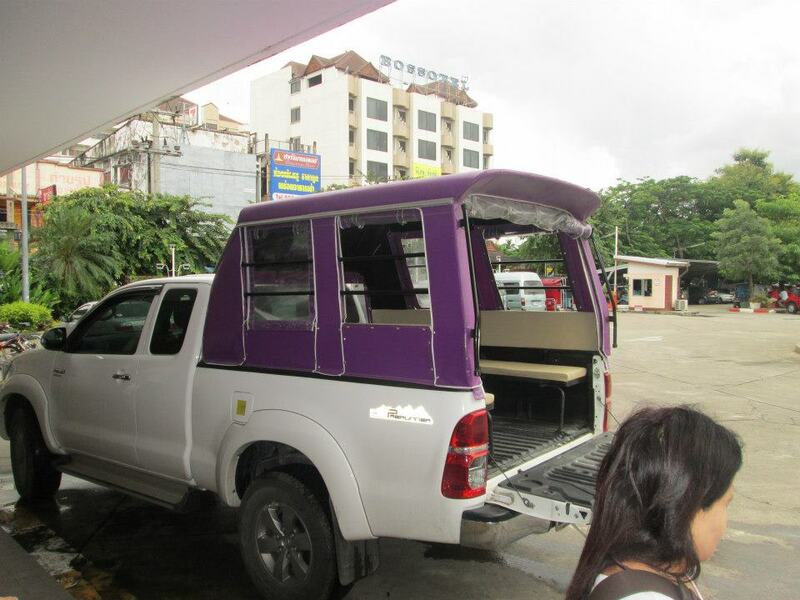 Getting Around Town– The most common way to get around Chang Mai is by songthaew (it’s pretty much just a truck with benches in the back). It should cost less than a dollar for trips around town. If they ask more than that, they are ripping you off. Ask around to see if others want to share it with you. Generally the more people there are, the cheaper it will be. Also, try and plan out your trip so that you do everything in a localized area and then move on. That will keep you from having to get rides all around the town. Don’t Stay in a Hotel: You are going to be spending most of your time out and about anyways so why spend your money staying at a fancy hotel. A bed to sleep in and a shower is all you really need. Bargain with the locals – The prices at the markets are never fixed and the locals will expect to bargain with you. I wouldn’t pay full price for anything unless you are just feeling generous. It also will help you strike up a deal if you buy more than one item from them. Eat the street food – Just as I mentioned before, eat the street food and eat like a local. Western food will cost you more. If you are worried about getting sick, maybe it will calm your fears a little to hear that Thailand has the safest street food in Southeast Asia. Rent a Scooter: Just like eating like a local, I would suggest driving like one as well. If you are planning on staying in Chiang Mai more than a couple of days, I would suggest renting a scooter. You can rent one for a week for $20 and gas will cost you next to nothing. I really enjoyed the freedom of driving around the town. We even took our scooters up to Doi Suthep and to the Chiang Mai Zoo. It was perfect! 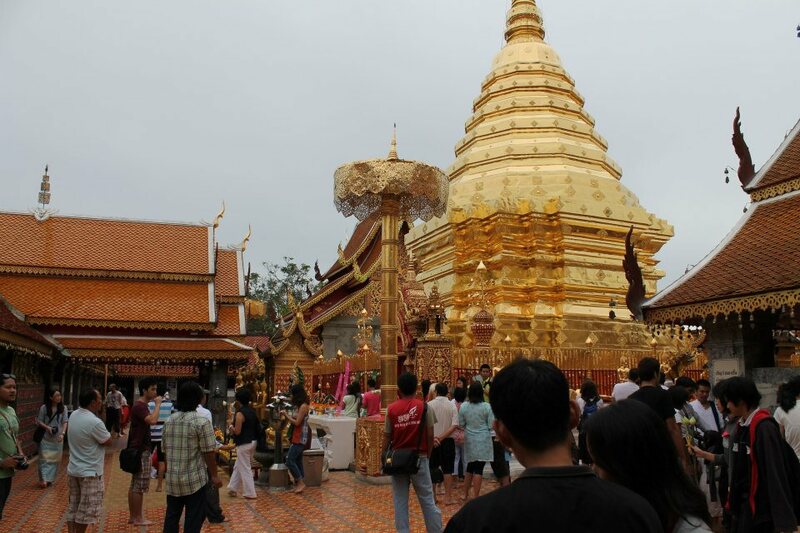 Visit Wat Phrat Doi Suthep – Doi Suthep, located near the top of Suthep Mountain, is Chiang Mai’s most famous temple and rightly so.The temple must be reached by climbing a steep 304 step staircase but the view of the city from the top is incredible. Definitely worth the trip. When I went, I drove my rented scooter up the mountain. It was so refreshing to drive through the jungle like that and feel the breeze. I feel like I heard and saw a lot more than I would have if I had just taken a songthaew. If you go, don’t forget a light jacket, It is usually a little rainy or chilly at the top. Tour all the temples – Located in the heart of the old city are many beautiful Buddhist temples. The city is filled with temples, some dating as far back as the 13th century. 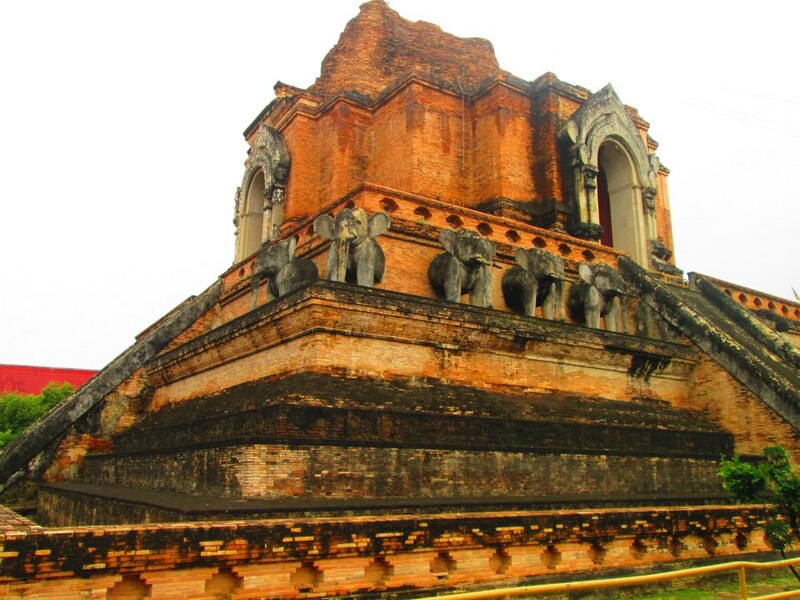 The main ones worth seeing are Wat Chiang Man, Wat Phra Singh, Wat Suan Dok, Wat Chedi Luang, and Wat Jet Yot. Explore the Night Bazaar – Chiang Mai’s night bazaar is the largest center for the selling of all sorts of handmade crafts. Everything is sold at non-fixed prices so don’t forget to bargain. 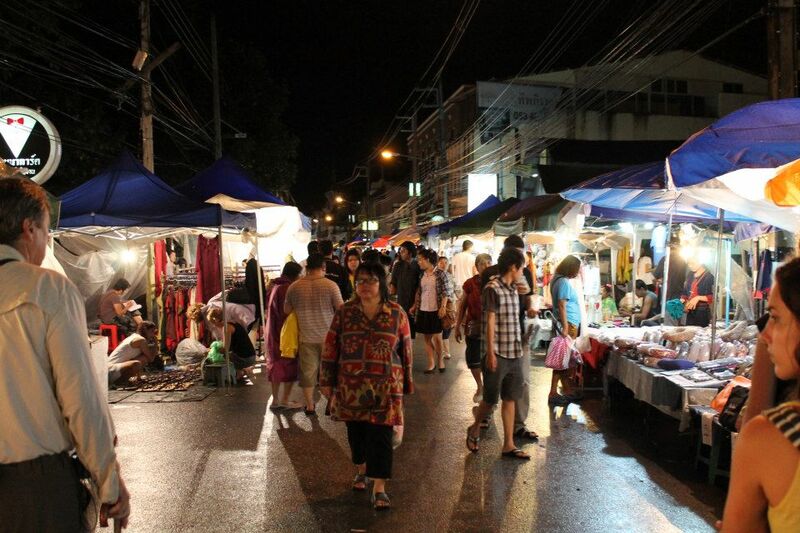 If you plan to do some shopping in Thailand, this night bazaar will be where you’ll find the best deals. Just be careful not to buy everything because it is all so cheap. You’re still going to have to fit it all in your suitcase when you come home. 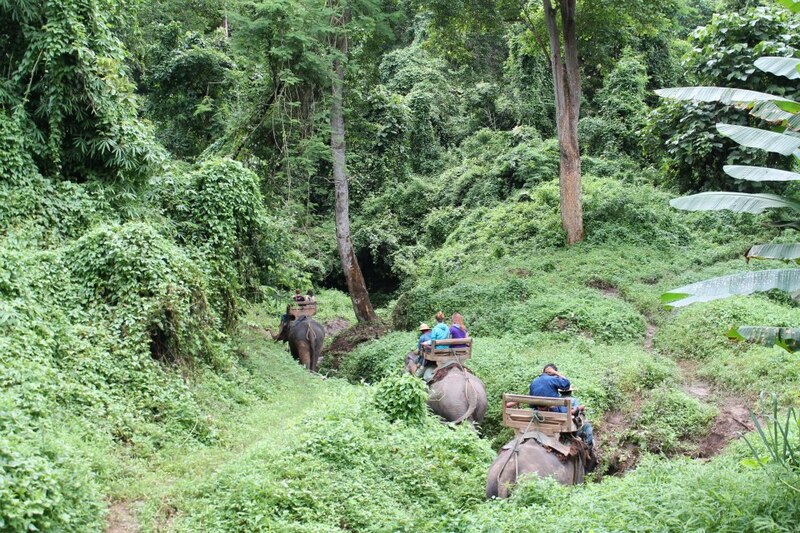 Visit the Elephants – When I went to Chiang Mai, I didn’t really care how or where I rode an elephant, just as long as I got to. I would suggest not being so naive. A lot of the elephant parks get a bad rap for how they treat their elephants and abusing elephants is a big problem in Thailand. If you are an elephant lover like me, I would suggest Elephant Nature Park or Patara Elephant Farm. Visit Tiger Kingdom- This is another place that get s a bad rap in Chiang Mai, but it is so hard to pass up playing with baby tigers and getting up close to the big guys. They are incredibly beautiful creatures. You are kind of just paying for the pictures, but in the end you get to say you hugged a tiger. How cool is that? Visit the zoo- Since we have been on the topic of animals, why don’t you go visit the Chiang Mai Zoo. Because it is nestled in the jungle, you feel like you are in more of an animal reserve than a zoo. The zoo is enormous and most people drive through it. Its just another great place to get away from the hustle and bustle of the city and enjoy nature. 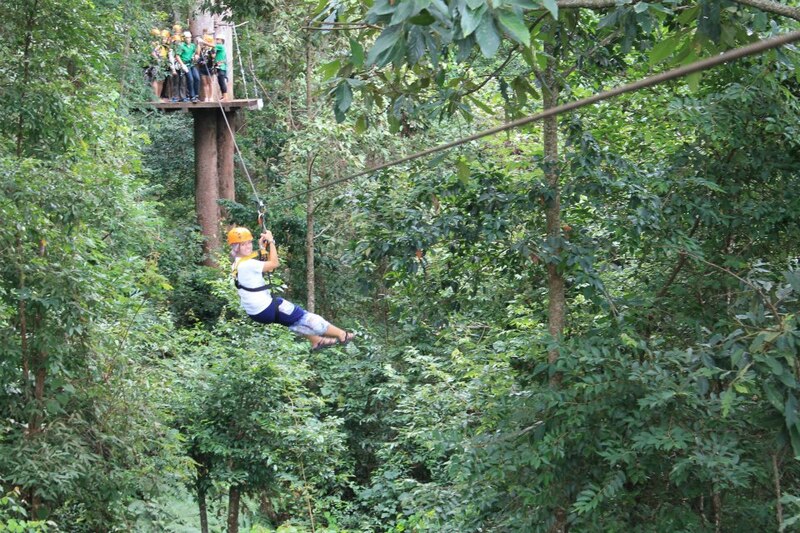 Go zip lining – If you are looking for an adrenaline rush, go zip line through Thailand’s thick jungle. The two biggest zip line operators are Flight of the Gibbon and Eagle Trekkers. I went with Flight of the Gibbon and really enjoyed my experience. The only downside I can remember is that the group was pretty big and I felt like a was waiting a lot. Also the drive up there felt a little sketchy- but we were driving up a mountain in Thailand! The surroundings during the whole event were beautiful, though! Experience Loi Krathong – This annual festival (knows as the Lantern Festival) takes place during the full moon in November. 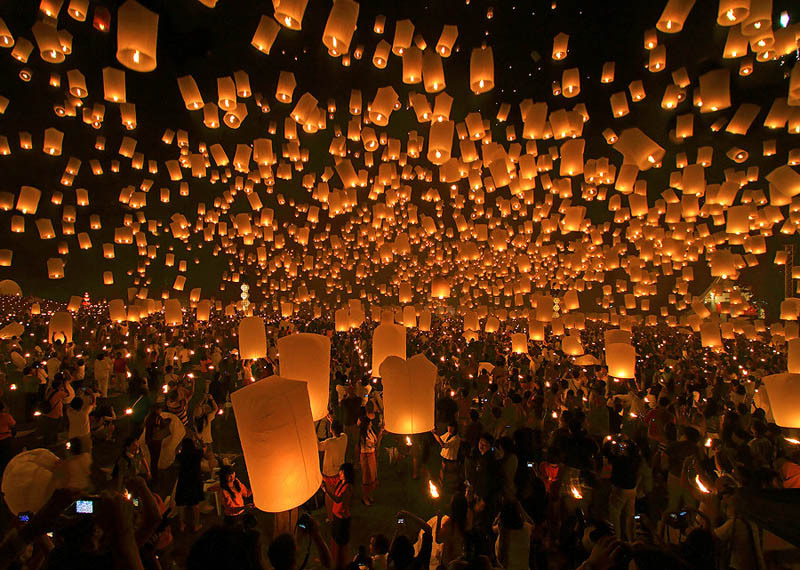 People from all over come to release thousands of paper lanterns into the air! Chiang Mai will be extra crowded during the event but it will be a memorable experience. Go bamboo rafting – If you want to see the jungle from a different angle, consider bamboo rafting on the Maeteng River. It’ll be relaxing and a little wet- make sure you bring a waterproof camera. Whitewater rafting- If a relaxing ride down the river isn’t your thing, you can also go whitewater rafting in Chiang Mai. 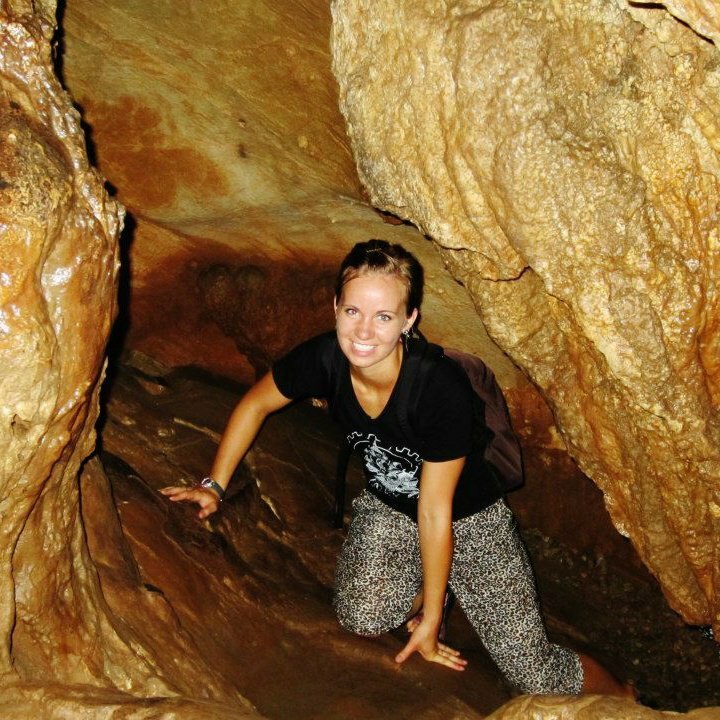 Chiang Dao Caves- I really enjoyed hiking through the Chiang Dao caves. It is a little ways from the city located in Chiang Dao National Forest. It only costs 40 baht to get in (a little more than one USD) but the caves are massive and there are numerous natural formations of limestone and crystal. If you go explore here, I would suggest getting a guide. 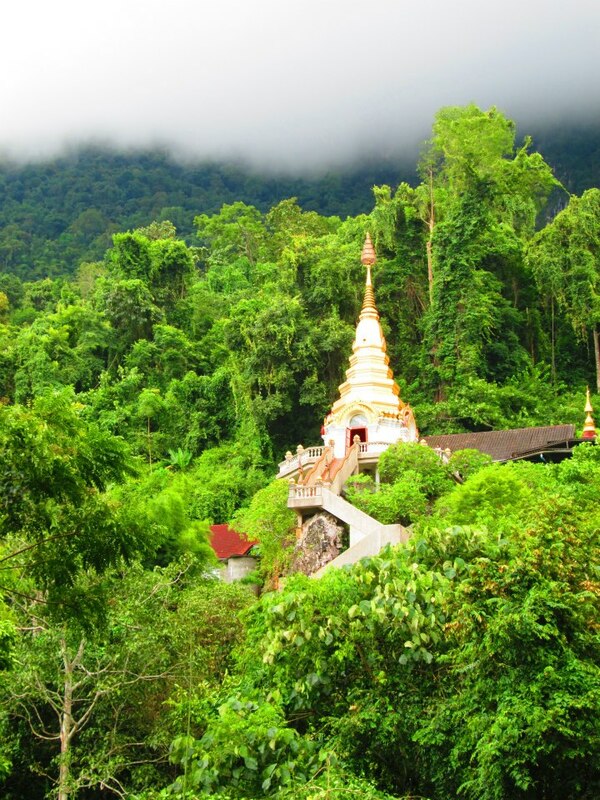 Wat Tham Pha Plong- “The Temple in the Clouds” is near the Chiang Dao Caves. To get there you must hike up 500 steps through a shaded forest to a breathtaking view at top. There are places to rest on your way up and the path is marked with Buddhist teachings. 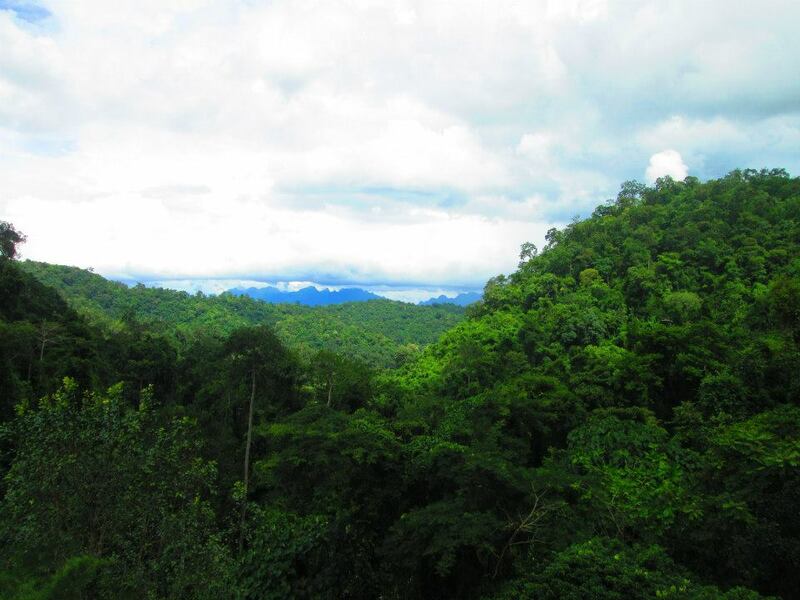 You will love being at the top, surrounded by jungle and listening to the sounds of birds and cicadas. The time I spent up there stands out as one of the most peaceful, reflective moments of my life. Shop at the day market – If your nights are already booked, consider visiting the market during the day. Located near the river, it’s open daily until 6 pm. This is a great place to shop for clothes and get some really cheap food. However, I would still suggest the Night Bizarre because the atmosphere is unbeatable. Try all the food! – This city is the best place for eating in Thailand. 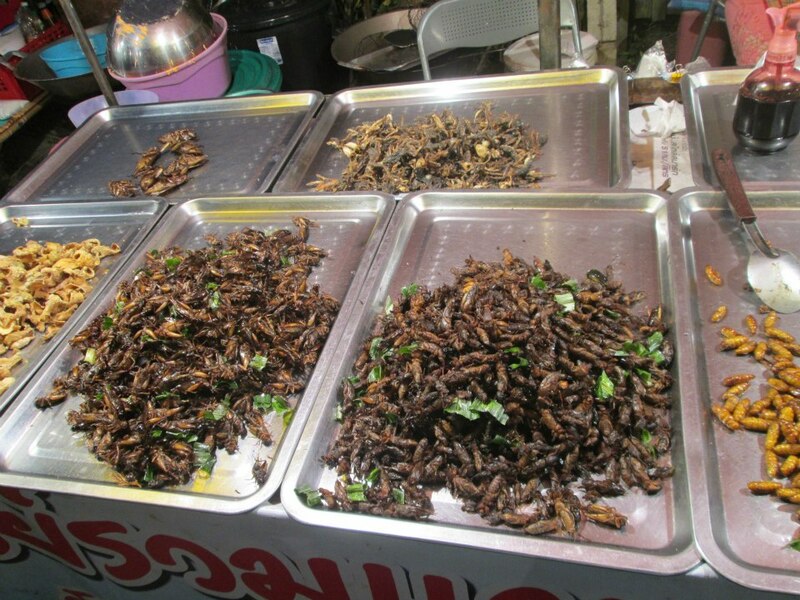 Some foods you will try only because you want the bragging rights for eating it (deep fried bugs, for example) but other foods will surprise you and become your new favorite! You will never know until you try. Get a foot massage-After a long day of walking, you’re feet will thank you when you get a famous Thai foot massage! It will only cost a dollar or two and they usually have shaded seating areas and fans to help cool you off. Don’t bother going to a fancy indoor place, just look for the little massage shops set up in the market. I got one of these (or two) every day and it really kept me going. It is important that you join with me in not falling into the Long Neck Village tourist trap. I really wish I would have know about how they are treated there before I went. When I was there I could definitely feel something just wasn’t right. The whole village had a very eerie feeling to it. Little did I know about the real situation. 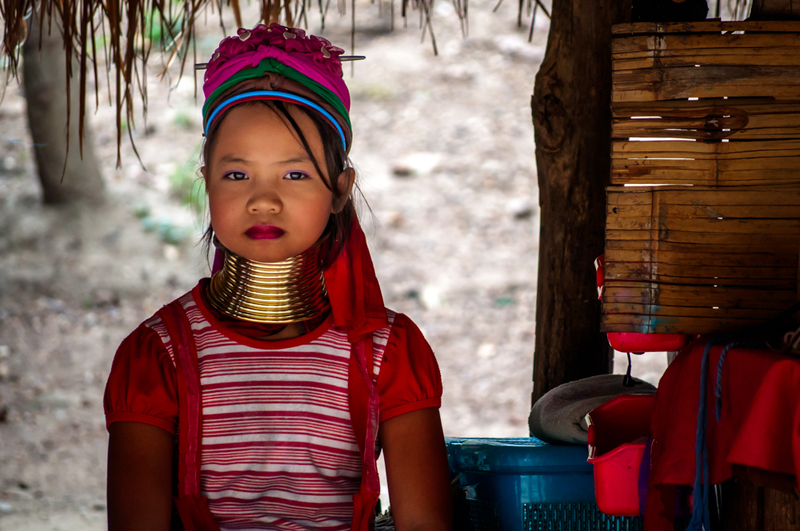 The women there will often try to relocate to another country but the Thai government won’t let women with rings to relocate to boost tourism. Among other things, the women are also often punished if they are caught doing things that are “modern” because it takes away from the authentic feel. For more information on this please read THIS blog post written by Jessica Theurer, a woman dedicated to helping others know the truth about the Long Neck Tribe.